Hello! I’d like you to meet my sisters. That’s Jacquie in the middle. She’s the middle sister. Julie, my youngest sister is on the far right. And that’s me sporting the apron on the far left. We met up recently in the Meijer craft department to check the selection after a store representative reached out and invited me to have a look at their beefed up offerings. I declined the free gift card offer because I’m a journalist and I wanted to write honestly about the Meijer craft department without my MLive column readers wondering if I was influenced by freebies. Meanwhile, my sisters who are not journalists, each accepted one to buy supplies to accept my craft off challenge. 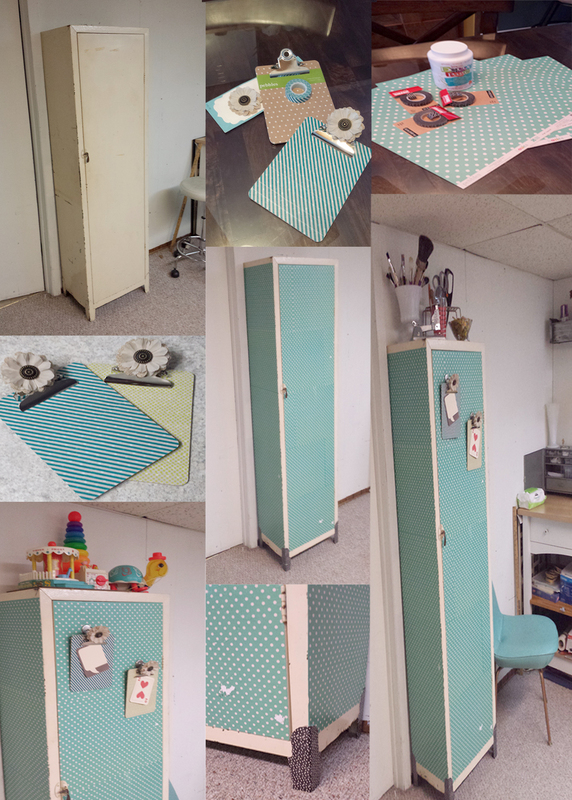 The rules were simple: See what you can make using no more than $50 worth of products from Meijer’s craft department and let the public decide the winner. The two losing sisters have to buy lunch for the winning sister at El Charro, our favorite Mexican restaurant in our hometown of Fraser, Michigan. Our entries are anonymous, so vote for the one that speaks to you and I’ll reveal who made what after the votes have been tallied. 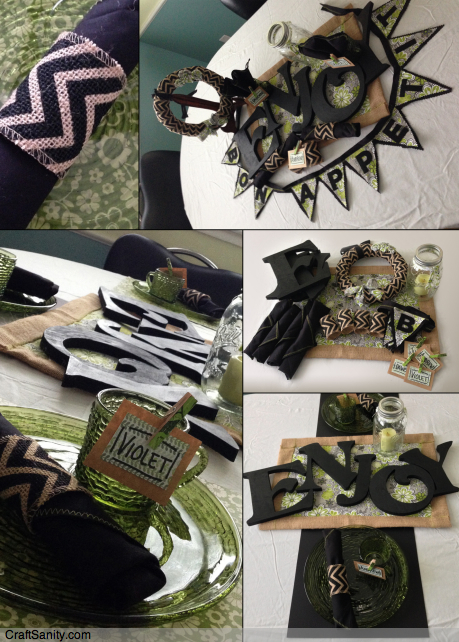 This table setting includes handmade placemats and cloth napkins with burlap napkin rings, painted “Enjoy” letters that serve as hotplates and seating cards made of scrapbook paper backed with Meijer shopping bag paper and held in place by clothespins covered with washi tape. Additional accents are a Bon Appetit banner, decorated mason jar candle holder and a styrofoam wreath wrapped with burlap and accented with fabric flowers and a bow. A vintage metal cabinet was made over when decoupaged with teal polkadot scrapbook paper. The cabinet legs were wrapped with black and white K & Co. Smash Tape. And two mini clipboards were wrapped in more washi tape, then flower accents were added. The clipboards were hung on the front of the cabinet with magnetic hooks. Project Life cards from the Kraft Edition set were placed on the clipboards. Project life sets contain many cards, so statements can be swapped out according to one’s mood. CAST YOUR VOTE & ENTER TO WIN: Vote for project 1, 2 or 3 in the comments below and help decide who’s going to win this Ackerman sister show own. Just for voting you will be entered into a random drawing for a $50 Meijer gift card. UPDATE: Congrats to Karen Mackechnie who was selected to win the Meijer gift card! Her comment “I like #2 the best” was picked at random. Congrats, Karen! 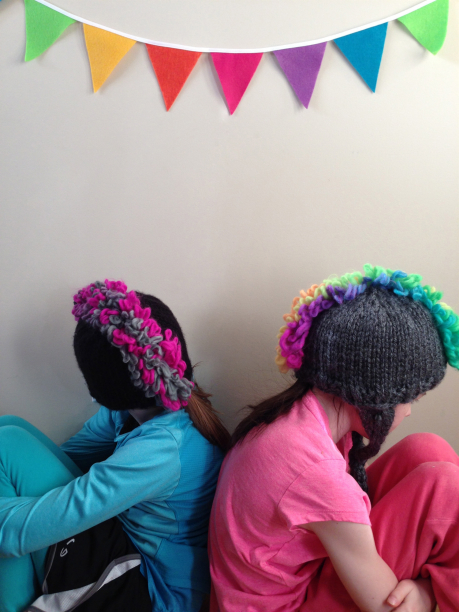 Use the mPerks digital coupon code “c4tb8d” to receive 20% off your craft purchase (valid 3/1-4/1). 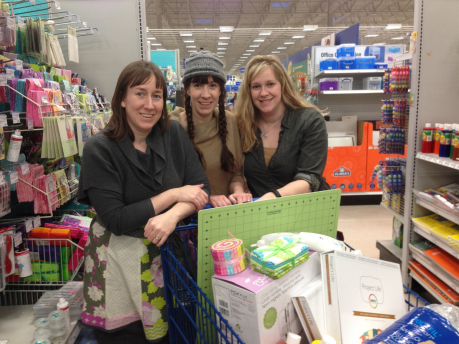 To find our more about the Meijer craft department, check out my MLive column here.